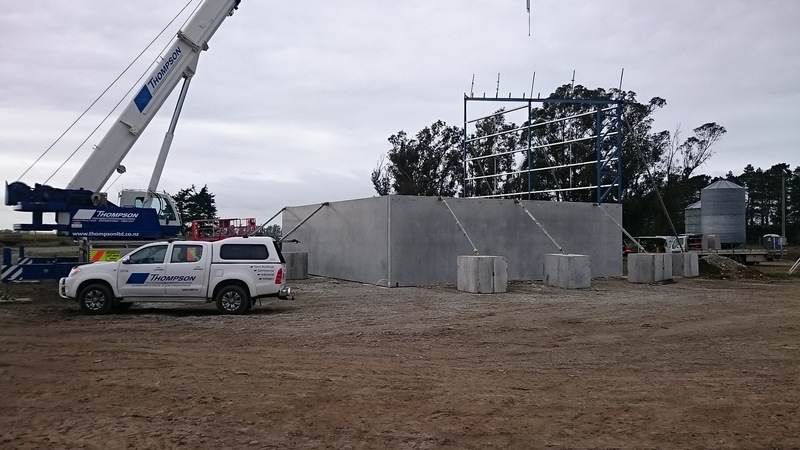 This 180m² agricultural bunker was designed to suit a specific storage function for Pye Group. 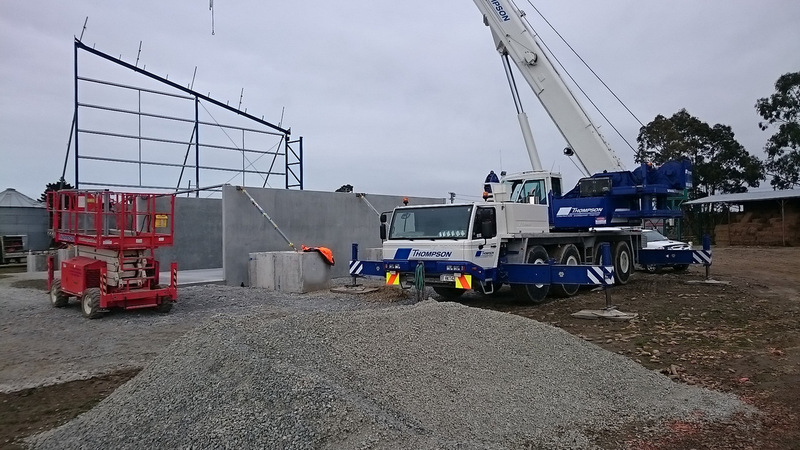 Their requirements were met with a 10.5m high front for clearance of trucks tipping and sliding doors elevated 3m above the slab at the back of the bunker for a piler to distribute carrots or fertiliser. A 3m high partition wall separates two bays to allow for storage of different farm produce. The 175mm thick panels were designed for strength and durability when moving farm produce in and out of the bunker. 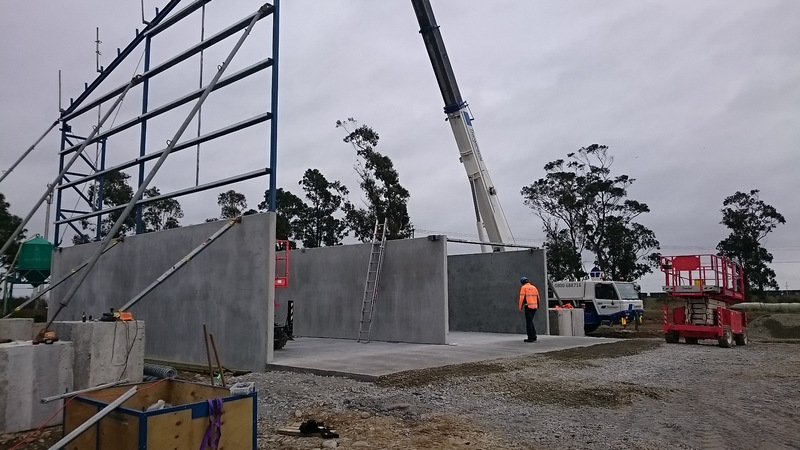 Panel sizes were well considered to ensure a cost-effective solution for the supply and transport of the precast. Consideration is taken in all of our projects right down to the small details such as ensuring minimal collection of dust and fertiliser in the bottom sliding door track.